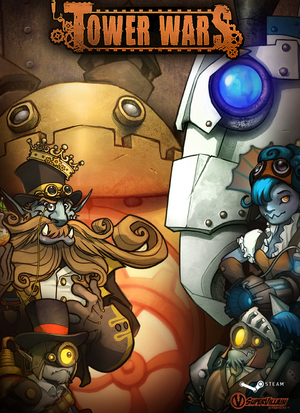 Scroll is used to zoom. Cap can be set up to 120 FPS. See Run the game at screen refresh rate. 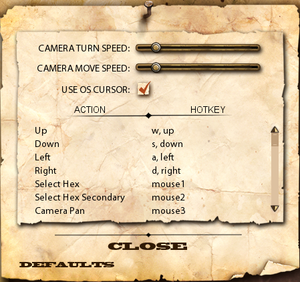 Ability to choose OS cursor. 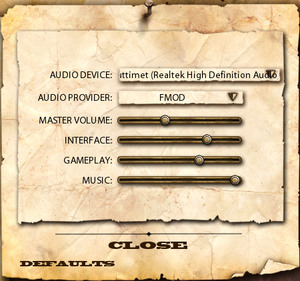 Master, interface, game and music. 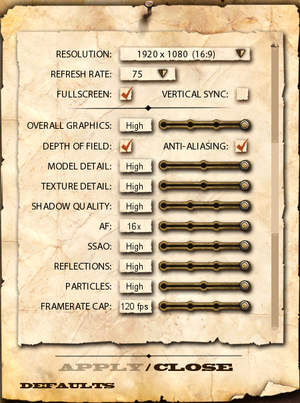 In-game refresh rate option supports 60 Hz or 75 Hz only. Open prefs.cs with a text editor. Find the line starting with $pref::Video::mode. Change the value (60 / 75) to the screen refresh rate. ↑ 2.0 2.1 File/folder structure within this directory reflects the path(s) listed for Windows and/or Steam game data (use Wine regedit to access Windows registry paths). Games with Steam Cloud support may store data in ~/.steam/steam/userdata/<user-id>/214360/ in addition to or instead of this directory. The app ID (214360) may differ in some cases. Treat backslashes as forward slashes. See the glossary page for details. This page was last edited on 14 April 2019, at 11:49.